One of the most important problems facing the world this century is to preserve nature from the action of humans. In particular, humankind’s use of production and consumption processes in which non-renewable material resources, like fossil fuels, are intensively used has given rise to air pollution emissions that lead to the greenhouse effect and climate change. These phenomena are so important that the world’s leading governments have expressed their concerns in world summits in Kyoto and other cities (including the summit recently held in Copenhagen). During these summits, countries from all over the world have entered into agreements and negotiations to reduce the emissions of polluting gases and avoid climate change. Unfortunately not all countries have signed the agreements to reduce emissions among which are such leading players as the United States of America and China. It should be pointed out that implementing the agreements made at these world conferences is not easy because the economic cost is sometimes very high. To reduce emissions a country can decrease its economic activity (which is very unlikely from a political point of view) or replace dirty economic activities with clean production and consumption processes. On the other hand, a clean atmosphere is a pure public good so no matter what countries do, they always benefit from the clean activities of other countries, which makes the problem more difficult to solve from a political point of view. If we look at the problem from a purely economic perspective we should bear in mind the so-called Stern report, which makes an economic cost benefit analysis of the problem facing humankind. It first estimates the economic cost of doing nothing, and then compares it with the cost of taking steps to avoid climate change. The conclusion is that it pays to act today and not leave the current economic process unchanged. However, it is important to stress that not all countries are in the same economic situation so it is not clear which countries should pay for a clean environment when the benefits are for all. It is therefore important to analyse the specific situation of a particular country to make an individual balance of its situation. This book, in the methodological tradition of Leontief, presents groups of first-class researchers and their recent studies on emissions in a variety of countries (Spain, Turkey, Portugal, Greece, Japan). They also construct data sets so that the situation in other countries can be estimated. However, they do not merely provide a number. They also identify those sectors of the economy that are responsible for the emissions so that specific policy recommendations can be implemented in an attempt to solve the problem. They also analyze the cost of substituting dirty economic activities for clean ones. Readers will benefit from all this information if they decide to read this book. In recent years, environmental pollution has received considerable attention from regulators, ecologists and economists who have integrated their ideas and concepts. Nowadays, it is generally accepted that environmental degradation is a multidisciplinary problem, and that environmental issues should be analysed by using multidisciplinary points of view to capture all the complexity involved. This book contains several contributions that illustrate the state of the art of academic research and knowledge in the field of gas pollution and gas emissions. The layout of the book is an attempt to capture not only the environmental dimension of the problem, but also its economic and political implications. The research articles also cover different economies of application to show that the subject is of global interest. The first chapter analyses the relationships between the productive structure of the Spanish economy and the associated CO2 emissions, the most important of the greenhouse gases sent into the atmosphere. Important patterns of emissions are found which makes it possible to determine what the leading sectors in CO2 emissions are. The second chapter uses input-output techniques to estimate the Turkish greenhouse emissions for the immediate future and the effects of a reduction in pollution on the final demand of the economy. The chapter also analyses the impact of a substitution of natural gas completely for other fossil fuel types and illustrates that this substitution would lead to a significant reduction in greenhouse pollution. The third chapter focuses on Spanish atmospheric pollution and macroeconomic data in an attempt to identify the main drivers of atmospheric pollution in Spain. The input paths of air pollution in the production system are identified by using Structural Path Analysis (SPA) in a generalised input-output framework. This methodology enables “hidden” sectors in the generation of pollution to be detected. The results show that the energy sectors, food processing industries, other manufacturing industries and transportation are the sectors with the highest emission intensities. 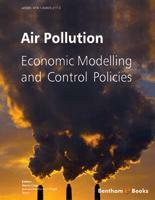 Chapter 4 analyses the emissions generated by energy in the Spanish economy. Particular attention is paid to final energy consumption and the demands that take most to satisfy in terms of emissions of pollutants into the atmosphere. The method used shows how the final demand of both the energy subsystem and complementary subsystem influences income generation and energy emissions. Chapter 5 presents an extended environmental input–output model of interactions between the environment and the economy in Portugal and shows that it is possible to implement strategies that respect and promote a balanced management of the dynamics between energy supply, environmental protection and economic growth. The analysis presents the energy intensity coefficients by industry, as well as the energy requirements attributable to given final demand vectors. Then, the sources of Portuguese anthropogenic CO2 emissions and the share of each sector in total emissions are identified and related to the use of fossil fuels. Chapter 6 shows regional National Accounting Matrices with Environmental Accounts (NAMEA) for the five main Greek regions. The derived regional NAMEA tables are a valuable tool for examining environmental-economic indices such as direct emission intensity coefficients, direct and indirect emission intensity coefficients and the emission intensity factor of each of the components in the final demand of the Greek economy. Chapter 7 applies Structural Decomposition Analysis to the Spanish economy and calculates how changes in efficiency gains, final demand, direct and indirect input/output requirements have affected energy use and emissions in recent years. The results show that the most energy intensive sectors have made the greatest contributions to energy efficiency gains. This is due not only to the reduction in their effective consumption of primary energy but also to the fact that their role as “key forward sectors” made these energy efficiency gains more effective. However, the notable growth in final demand has increased the strength of their push effects, offsetting the contribution of these improvements in energy efficiency. Finally, the contribution of indirect requirements dominates the contribution of direct requirements in most Energy sectors but the opposite is true in energy intensive sectors. Chapter 8 describes a methodology for analysing the impacts of regional tourism and its associated environmental consequences. The methodology is implemented through an Input-Output model related to income generation by the tourism sector and the generation of emissions into the atmosphere. The model, which is applied to an area of high cultural value (the Italian region of Campania), is used not only to calculate the emission multipliers of regional activities, but also to simulate changes in tourism final demand and its subsequent effects on regional income and regional emissions. Chapter 9 presents an Input-Output Table for the Environmental Analysis of Japan and its application study. Tables of energy inputs and CO2 emissions are constructed with both economic and energy statistics. The analysis is completed by quantifying the CO2 emission of new power generation technology (Solar Power Satellites) as an application study. I would like to thank Professor Antonio Manresa, of the Universitat de Barcelona, for writing the foreword and Bentham Science Publishers, particularly Sara Moqeet, for their support and hard work. I would also like to thank Magda Lleixà, the administrative officer of the research group Quantitative, Urban and Regional Economics (QURE) at the Departament d’Economia of the Universitat Rovira i Virgili, for editing support.